Photo by Geoff Johnson, courtesy of MusicFile Productions. 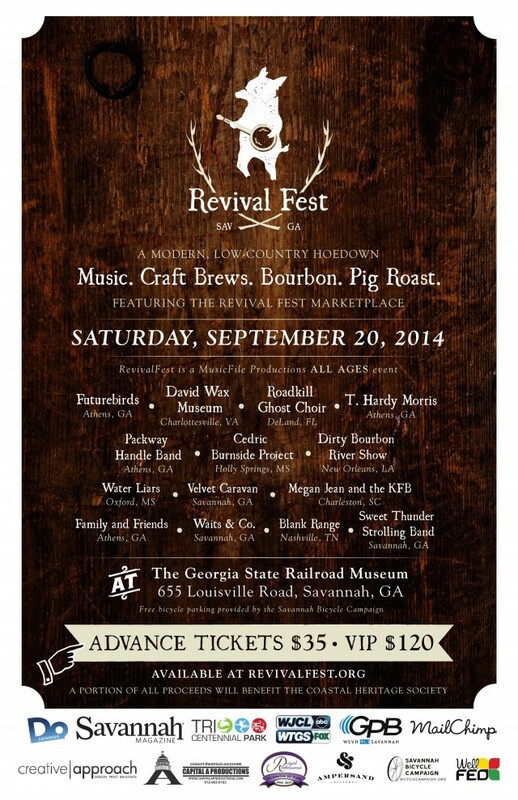 The Revival Fest is bringing a southern music festival, complete with Georgia craft beers, a pig roast, artisan marketplace and two stages with live performances by 14 different bands, to the Georgia State Railroad Museum and Old Paint Shop on Saturday, Sept. 20. “If felt like every band that was submitting to play Stopover that year was going for that sound and we said, ‘Wait, who’s really doing this well? No one does this better than REAL southern bands. Let’s do our own festival version and make it the real deal,’” said Lanahan. 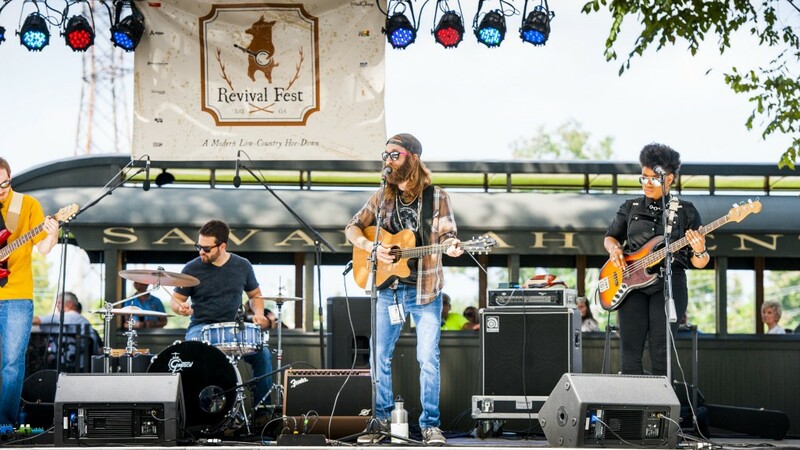 And so the Revival Fest was born in 2013, a festival that brought bands from all genres, across several states, together to celebrate music made in the South at the daylong fest. 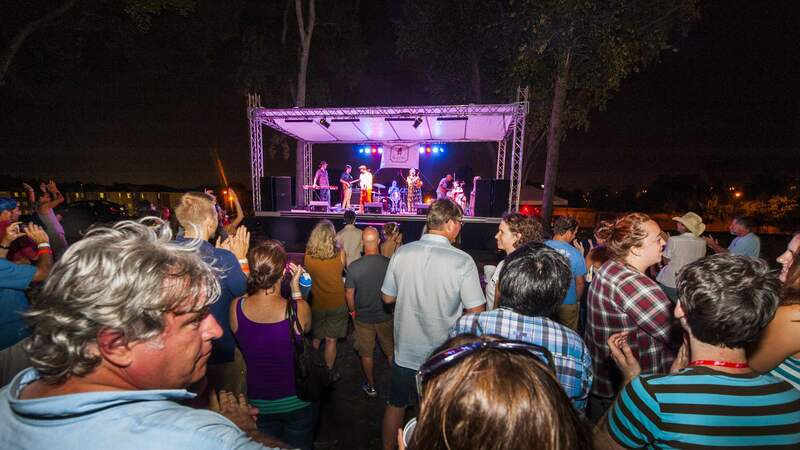 This year the Futurebirds, David Wax Museum, Roadkill Ghost Choir and Cedric Burnside will be headlining the festival. 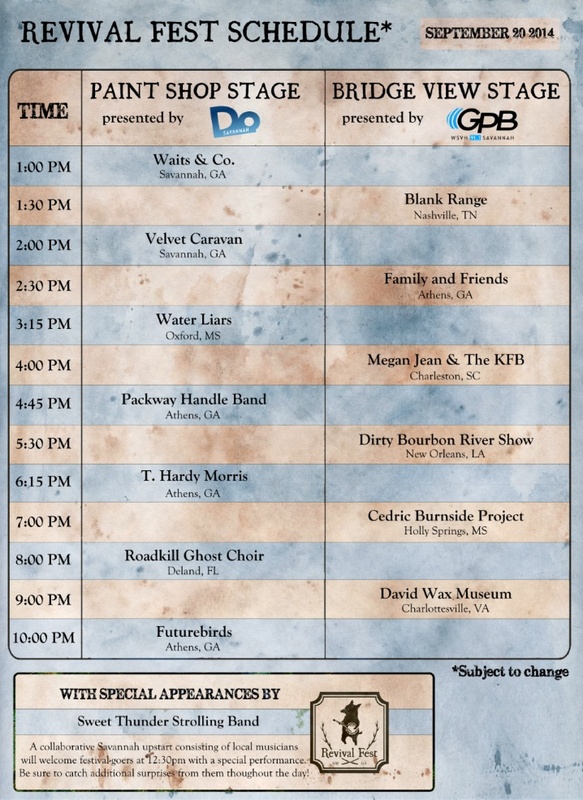 The Savannah-based Waits & Co, Velvet Caravan and Sweet Thunder Strolling Band are in the lineup with Blank Range, Family and Friends, T. Hardy Morris, Packway Handle Band, Oxford’s Water Liars, Megan Jean & The KFB and Dirty Bourbon River Show. 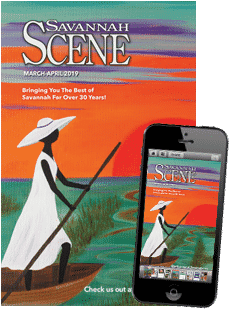 But Southern music isn’t the only thing to enjoy at this festival; there will also be a Pacci pig roast ($8 per plate) by Chef Roberto Leoci and a BBQ Sauce Bar, which will feature Pacci’s house-made BBQ Sauce, as well as their Coca-Cola BBQ Sauce and Leoci’s Raspberry Jalapeño BBQ Sauce. There will even be alternative vegetarian options, including the pesto couscous salad for $4. And that’s not all. The Bayou Café will also have veggie wraps for $4, hot dogs for $5 and hamburgers and shrimp wraps for $6. If the South’s heat gets to guests, they can grab craft beers from some Georgia breweries, including locally-based Southbound Brewing, Moon River Brewing and Service Brewing, as well as Marietta’s Red Hare Brewing. Service Brewing, the veteran owned and operated brewery that just opened this summer, will debut their new Oktoberfest Marzen beer, the Tuefel Hunden, at the festival, which coincides with the official launch of the Oktoberfest in Munich, Germany. Also available is their SBC “o” Pecan Apricot Pale Ale, Southbound’s Scattered Sun Belgian Wit and Hoplin’ IPA and Red Hare’s The Long Day Lager and Gangway IPA. Guests can also quench their thirst at the new cocktail lounge, where Ampersand will be crafting their very own bourbon-based specialties inspired by the bands at the festival. Available at the lounge is the Hard-T, a summertime cocktail with whiskey, peach tea and peach nectar, and the Dirty Bourbon, a light and refreshing blackberry-bourbon lemonade with Savannah Lemon Sweet Tea Bourbon, St. Germaine’s elderflower liquor, basil simple syrup, sparkling lemon and blackberries, inspired by Revival Fest performer New Orleans’s Dirty Bourbon River Show. And what better way to celebrate than a little shopping? There will be a marketplace at the festival featuring local artisans and retailers, with accessories and goods from Lovelane Designs, Satchel and KMM & Co., skin care products by Prospector Co, Southern folk art from the Roots Up Gallery, artwork apparel from 13 Bricks, as well as treats from Dept 7 East, Perc Coffee, Kings of Pops, ASI and Bruce Julian. Steam Printing will also be at the Marketplace, printing Revival Fest t-shirts on-site, and nearby Art Rise Savannah will showcase Vinyl Spin Art on old records. 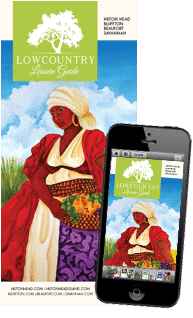 “We’d love to see it grow to become a top festival in the southeast and the Lowcountry, the way the New Orleans Jazz and Heritage Festival did for Louisiana,” said Lanahan. Pacci is also hosting a kickoff event there the night before the festival, on Friday, with food, drinks and a private concert by Cedric Burnside in The Brice, A Kimpton Hotel‘s secret garden. Tickets cost $60 for this event. Advanced general admission is $35, VIP festival tickets are $75 and “The Whole Hog,” which includes the private pre-festival concert at Pacci and VIP tickets to the festival, is $120. For more information about tickets, go to http://www.revivalfest.org/tickets/.